Are you looking for a light-weight, self-defense firearm? This week on John’s Corner we’re checking out the Smith & Wesson 642! This gun weighs in a super light 15 ounces. It’s perfect for on-the-go travel and compact enough to store in a glove compartment or center console. This is a great firearm from Smith & Wesson. 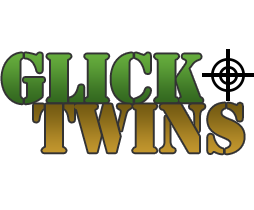 Stop on by today and talk with John and the guys at Glick Twins for more info. Plus, you can even test it out and see how it feels in your hands!